Bee Jay Auto Wrecking & Towing is Williams Lake, British Columbia’s number one towing service! get you back on the road again. We have the experience and the trucks to solve all of your solutions under one roof! 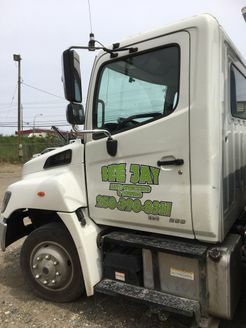 At Bee Jay Auto Wrecking & Towing, we pride ourselves on being known for our reliability, promptness, and courtesy. We treat each call as if a member of our own family was in trouble and needed help. Contact us for your automotive or towing emergency. Our shop is equipped with the trucks and wreckers necessary to move any size vehicle you need.